Many adults are surprised by the intense emotions they experience after the death of their father, especially when their father dies relatively young. Everyone has a different relationship with their father, and usually that relationship is different that the relationship with their mother. Some are closer to their father, others closer to their mother. Either way, losing your father will likely be painful, perhaps unexpectedly so. Losing a parent can feel like the loss of more than just a person—it’s the loss of our childhood, the moment we have to truly become ‘adults,’ no matter our age, and the loss of a safety net. There might be more, too—a childhood home, cherished traditions—that you lose when your father dies. Losing your father also means losing not just your father as an individual but also the experience of having a father. There won’t be anyone to fulfill the role of a father that our society expects, such as walking you down the aisle or taking grandchildren fishing. Here are some common experiences of grieving the death of your father. No matter what your relationship was with your father, his death will change the dynamics of your entire family. It might bring you closer to your mother and your siblings, if you have them—or push you apart—but it won’t leave those relationships unchanged. This can be especially evident when it comes to carrying on family traditions that your father spearheaded. Some families might abandon those traditions, but if not, someone will have to step into your father’s shoes when it comes to maintaining these traditions. In most families, the idea of a legacy is something that’s passed down through the male side of the family. This is especially true with the family name, but can also apply to professions, family traditions and specific skills. If you don’t have children, you might find that your father’s death makes you want them—and if you do have children, you might feel particularly aware of your responsibility to pass on your family’s legacy to them. 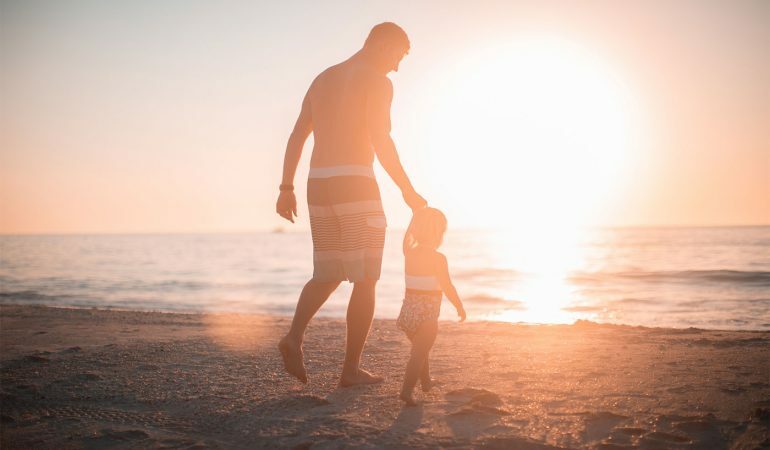 It’s no longer particularly common for us to follow our fathers into the family business or even into the same career path, but there are often other things our fathers teach us that feel important to pass on to the next generation. This could how to make pancakes the way your dad did, how to fish, or simply passing on stories about your family origins. Your father’s death means that the responsibility for passing on all this knowledge falls on your shoulders. Particularly for men, the death of your father comes as a reality check about our own mortality. Fathers often seem invincible, and when they die we have to accept that death is something that can—and eventually does—happen to everyone. This is true regardless of whether your father dies in an accident or after an illness that can run in families. Losing a parent is often especially poignant for parents. If you have children you might also grieve the relationship your children will never have with their grandfather as well as the future you had envisioned with your father leading family traditions with your kids. Parenthood also often changes our relationships with our parents—sometimes making us understand our childhood a little better. If you have children after your father’s death, you might find yourself grieving his death again, even if years have passed. If you have trying moments with your kids, you might wish you could call up your own dad and ask for advice—and the fact that you can’t do that is likely to hurt every time. If you’re having trouble with grief after your father’s death, a professional counselor can help you navigate both the grief process as well as the changing family dynamics. I can help you find ways to carry on your father’s legacy and make his presence real for future generations, all while helping you through your grief.